We are in full on pumpkin season people! 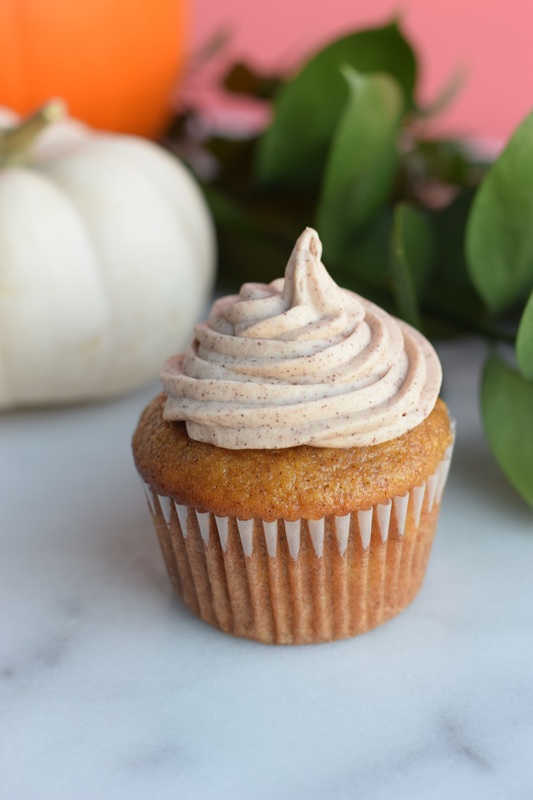 If you haven’t heard lately, loving pumpkin things is so called “basic” apparently. Meh, I’m ok with that. Embrace the basic. Embrace the pumpkin. 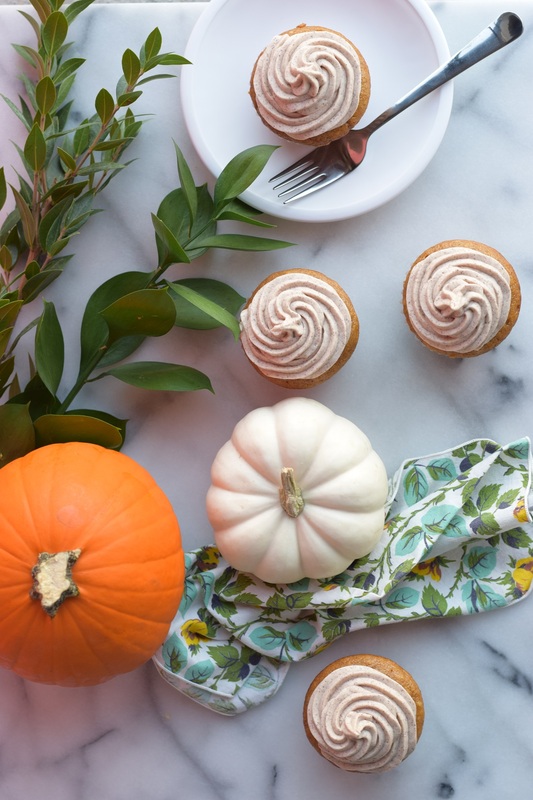 Embrace these frighteningly addicting, oh so delicious Pumpkin Cupcakes with Cinnamon Cream Cheese Frosting. But I’m getting ahead of myself. 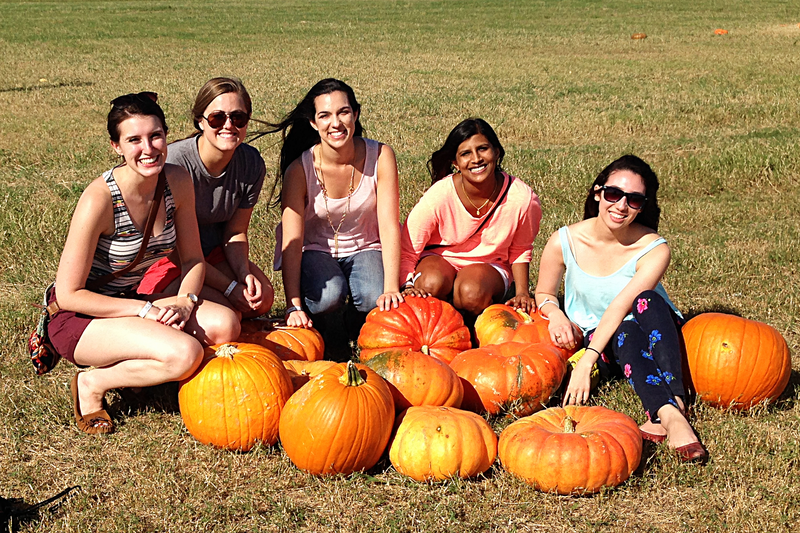 Because my friends and I are Fall obsessed, we went to a pumpkin patch/ corn maze/ farm to dive into Fall tradition! We drove out to Dewberry Farm which is about 50 minutes outside of downtown Houston. It was, to say the least, ADORABLE! We were the only people not trailing children around after us, but we had the best time. Just look at the beautiful pumpkins! Ok, confession: This farm was great, but the pumpkin patch was literally 30 or so pumpkins strewn over a field. The picture above displays a quarter of the pumpkins on the farm that we bunched together for a cute photo op. Needless to say my pumpkin desires were not met. 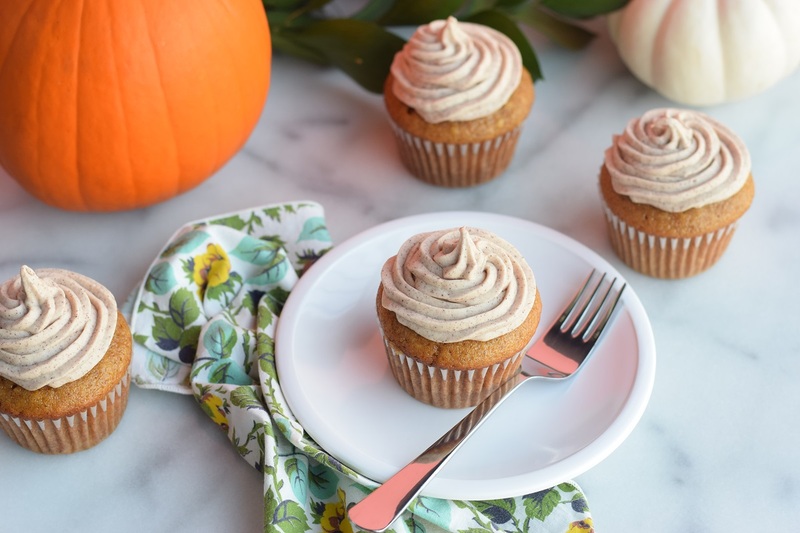 I came home and promptly decided that to get out of my pumpkin-less funk, I just needed to make some pumpkin cupcakes! 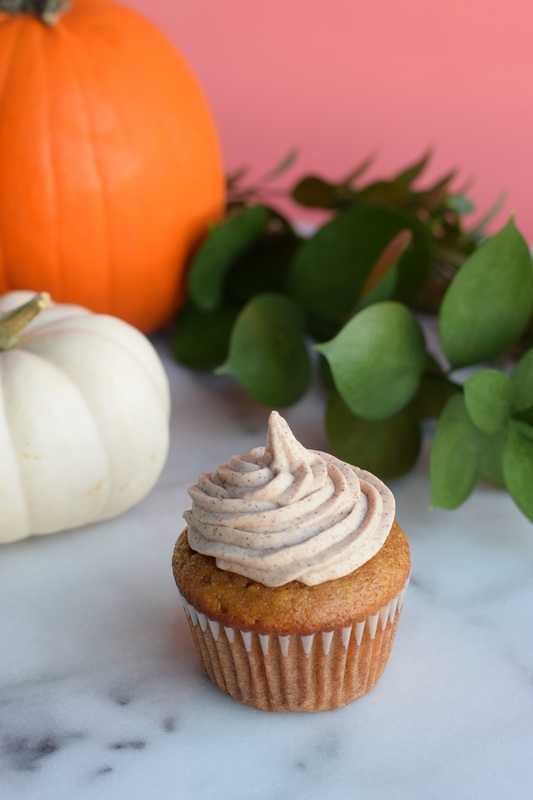 These cupcakes take a fantastic pumpkin bread recipe and pair it with a sweet frosting for a fabulous treat! 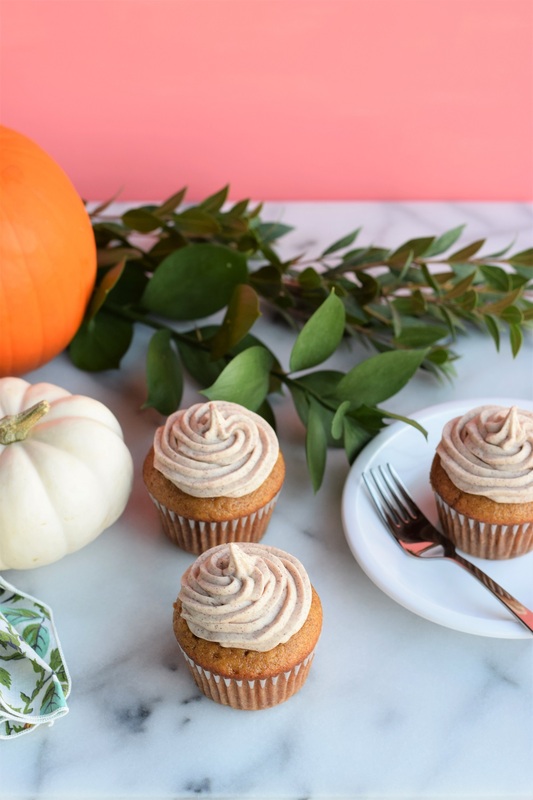 Leave off the frosting and you have tasty pumpkin muffins… Basically you can eat these for breakfast, lunch, and dinner. I’ll let you call me basic if that means I can do that! Enjoy basic bunnies! Let the cream cheese and butter sit out for about 20-30 minutes to soften (while you make the cupcakes). Cream them together. Slowly add in the powdered sugar, salt, and cinnamon mixing as you go to make sure everything is fully mixed and stays a creamy consistency. I use a sifter for the powdered sugar to make sure the frosting stays perfectly smooth! Add the vanilla and combine.